Torcherino is far the most helpful mod of your collection of mods! Thanks for continuing Torcherino. What does the Inverted Torcherino do? It doesn't seem to slow down the tick rate of blocks... does it just cancel out the effect of another Torcherino inside its area? Figured it out. You may want to document this a little better because it's rather non-intuitive. On 2.1s - everytime the torch gets chunk unloaded (game restart, travel to nether, distance far enough to unload) it looses its settings - i have to go and manually "restart" it i.e. change the area and time multiplier. On 1.9s this was not the case. I wanna know too! What do inverted Torcherino's do? 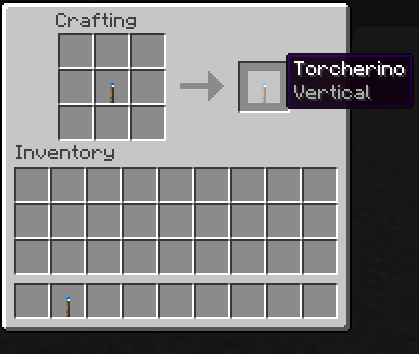 I am going to add a Torcherino that speeds up entities as well! Not to be mean, but you guys make me giggle a bit. Inverted means the redstone control is inverted. So, a normal torcherino is disabled by a redstone signal while an inverted one is enabled by a redstone signal. As for the bug mentioned, I am looking into it. I have not noticed it myself however... er... haven't been able to replicate it yet. I have the same reset bug. Every time I quit a world, then start it back up the torcherinos have reset to 0% and no area of effect. If the area isn't chunkloaded the same happens if I leave the area. Just downgraded to version 1.9s and the torcherinos don't forget their settings when reloading the game or leaving the area without chunkloading. Every time I use torcherino, there is one thing I wish I had. That thing is Vertical Torcherinos. They would be the exact same as regular torchernos, but they would speed up a 3x3 vertical space, not a 3 high horizontal space. Yes, I did go trough the work of creating fake torcherinos in quadrum and creating crafting recipies with minetweaker to demonstrate this. 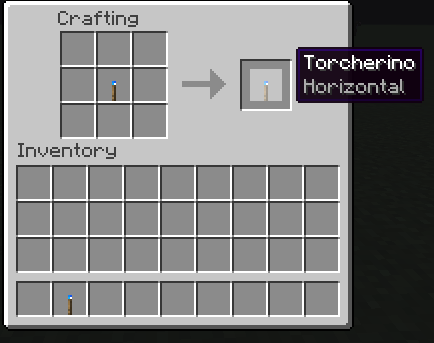 Are you actually enabling the torch or just plopping it next to the crops? I'm having an issue where a torcherino seems to lose its settings (size and speed) every so often. There is a chunkloader in there and it is powering the ProjectE stuff. This is in a modpack, any idea why this is not working? Looks really good. Would add to my mods, but Forge doesn't seem to work anymore for me, but anyways, would love to play with it considering I loved DartCrafts time torch, the right amount of OP, without straight out turning dirt to diamonds.